To create the content of his large-scale photographs, Stephen Althouse employs a process of hands-on fabrication that grows out of his training as a sculptor. Starting with an idea, he collects or makes simple objects and combines them into sparse but meticulously worked sculptural assemblages with personal or symbolic meanings. He then photographs these physical compositions using a large format camera, which yields a high level of detail, and he scans the negatives to make digital prints. 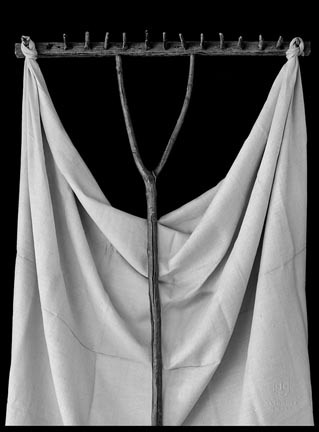 As in the photograph Axe, Wood, and Shroud (2003), many of Althouse's works incorporate primitive weapons, rustic tools, or old farm implements, which in part recall his childhood in rural Pennsylvania. 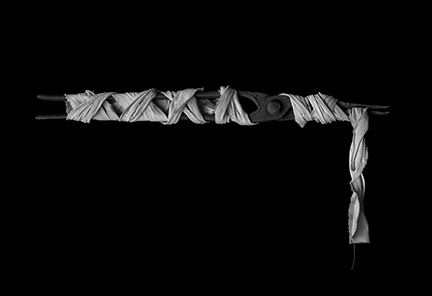 Setting these objects against a black background, he shrouds or binds them in white cloth, developing a recurring visual vocabulary and a feeling of mystery and ritual. His photographs have both an autobiographical grounding and an enigmatic quality, but they also allude to more universal themes, such as human labor, the specter of violence, and struggles between captivity and freedom. Althouse received his MFA in Sculpture from Virginia Commonwealth University, Richmond, in 1975. As an undergraduate he studied at Rollins College in Winter Park, Florida, Tyler School of Art in Philadelphia; and the University of Miami, Florida, where he received his BFA in Sculpture in 1970. 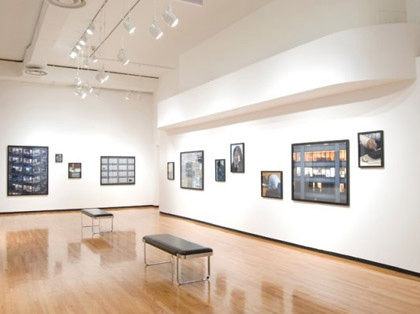 For 30 years, starting in 1977, Althouse was a Professor of Fine Arts at Barry University, Miami. Since 2007 he has lived with his family in central Pennsylvania, where he works as an artist.